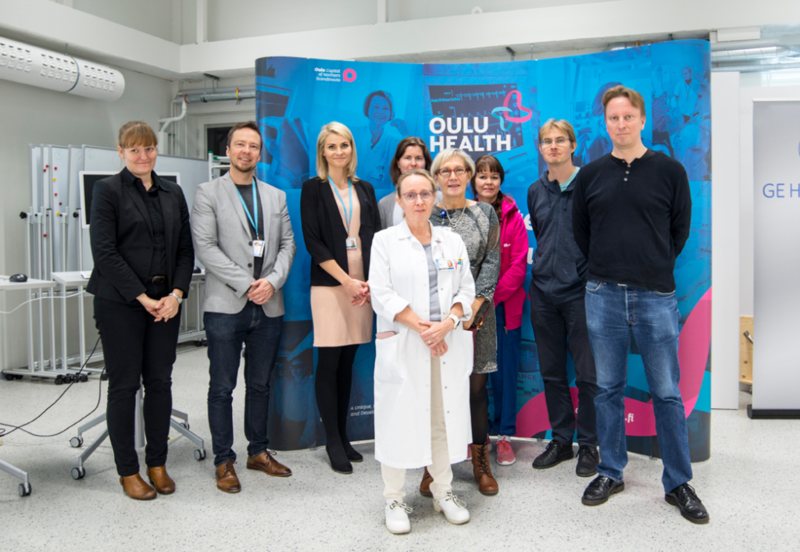 Healthcare professionals from Oulu Hospital, a digital health company (Sense4Health) and experts from Business Oulu during the co-creation process. Why healthcare organizations and IT companies must work together? “What we initially believed being important features, was not always what the customer wanted or needed. 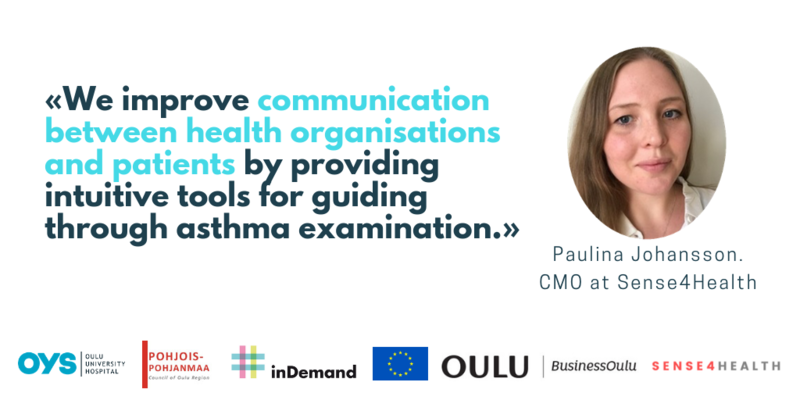 It is great to have an external discussion partner”, says Paulina Johansson, CMO at Sense4Health. Let’s go deeper into this co-creation process! Sense4Health is an international SME with roots in Oulu Finland. We specialize in digital health services for the treatment of respiratory diseases. 2.- What was the need detected by the healthcare professionals? As the world has become more digital, new methods to communicate with patients and to guide them in their self-care are needed. Many patients want both written and oral information in a digital form, and be able to access it immediately without waiting for a doctor’s appointment. Many digital tools have become available in recent years, but there still exists a gap between health care providers and the patient’s own collection of data. 3.- How did you propose to solve it? We create digital tools that bridge the communicational gap between the health organisations and the patients. Our products are developed in accordance to each health organisation’s needs, e.g. transferral of data to journals, instructional videos to the patients, a calendar to monitor health performance and doctor’s appointments. It is always special to collaborate transdisciplinary, but it is great fun and gives a valuable broad perspective on the task that lies ahead. We have had very good dialogues with both the healthcare professionals, patients and investors that we’ve been co-creating with, which has been very valuable for our product development. We believe that the transdisciplinary co-creation has greatly helped to improve the product. an external discussion partner to help us anchor ideas and follow the organizational plan at all times. 6.- What is your launch to market approach? Why has the business support received been useful? Our launching strategy has been to develop a prototype, test it and adapt it to the customer’s needs. In the beginning, we focused mainly on developing the platform and not much on the softer aspects of business development. This strategy was a great way to get ahead of what we technically wanted, but further along the process, we saw that it is important to align both to be successful. The business support has therefore been of great help to keep us on track with commercialization, networking and other soft aspects. 7.- Why do you think digital transformation on healthcare pays off? other sectors in recent years, and to be able to meet the demand of society, provide the best healthcare possible and advance further in technology, digital transformation is crucial. There are many opportunities and many healthcare areas that are still to be digitally transformed, so it is an exciting phase for the industry right now.